It is a requirement of your Agreement, that the goods are protected against Theft and Accidental Damage. We can arrange Theft & Accidental Damage Cover for £1.84 per week. It is a requirement that products purchased on a credit agreement are insured. We can offer Theft and Accidental Damage Cover for £1.84 per week. We love to add colour and style into your home and our MAB365K retro fridge freezer does just that. The Retro range is timeless and will add that statement wow-factor to your home. This fridge freezer brings you the space saving convenience of having two appliances in one, but still allows for storing a larger shop especially if you require more freezer space. With 4 adjustable glass shelves, 2 large salad crisper drawers and a full width chrome wine rack, there is ambient space for a variety of foods. The door also offers varying racks for tall bottle storage and small jars and packets. 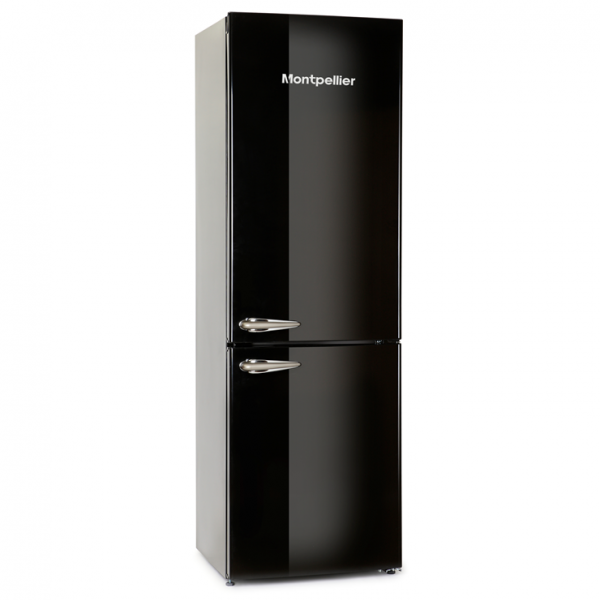 The freezer has three compartments, giving you lots of options for well stacked frozen foods.